Author(s): André LaMothe, Andy Lindsay, Chip Gracey, Hanno Sander, Jeff Martin, Joshua Hintze, Martin Hebel, Shane Avery, Vern Graner.
" Balancing Parallax Propeller Based Robot." 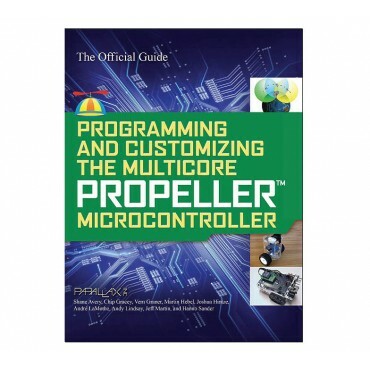 Table of Contents for Programming the Multicore Propeller Microcontroller (.pdf). 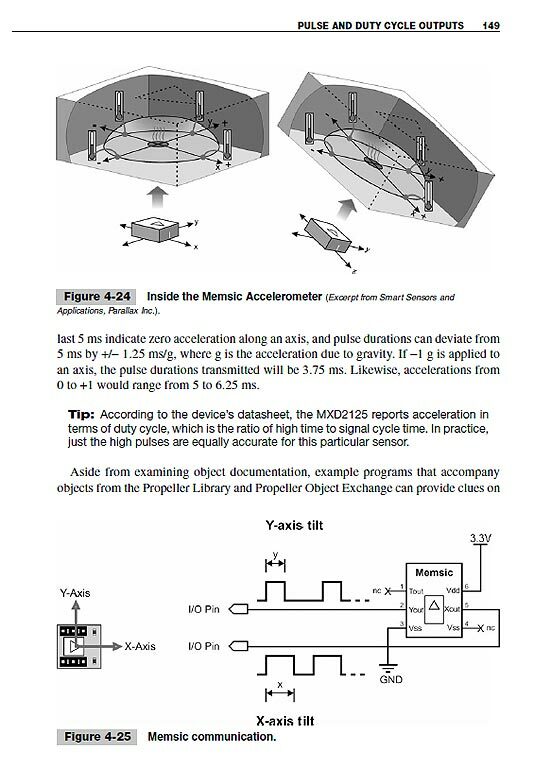 (Sample Chapter) Chapter 5 - Wirelessly Networking Propeller Chips (.pdf). Free example code and resources (FTP). 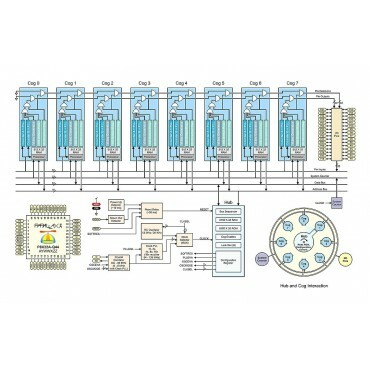 Parallax brought together nine experienced authors lead by André LaMothe to write 12 chapters on the many facets of multi core programming with the Propeller chip. 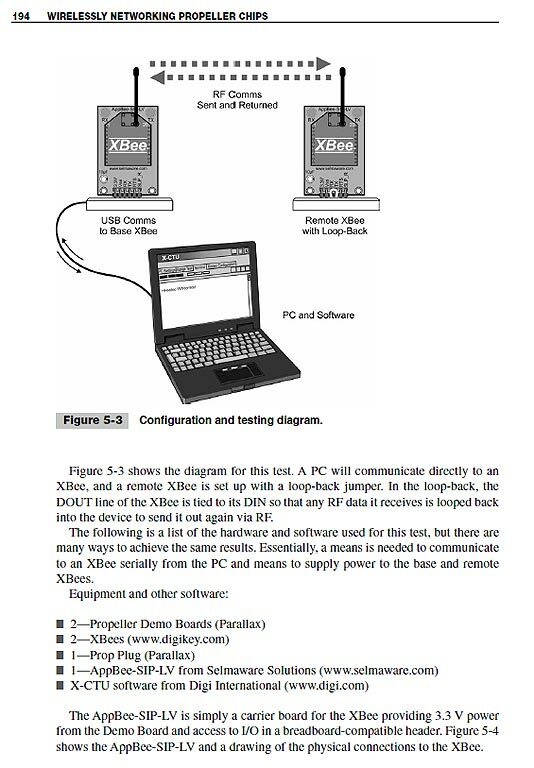 Numerous illustrations and example programs accompany each application. Example source code and other related resources are available for free download! The Propeller Chip Multi-core Microcontroller - Jeff Martin. Introduction to Propeller Programming - Jeff Martin. Debugging Code for Multiple Cores - Andy Lindsay. 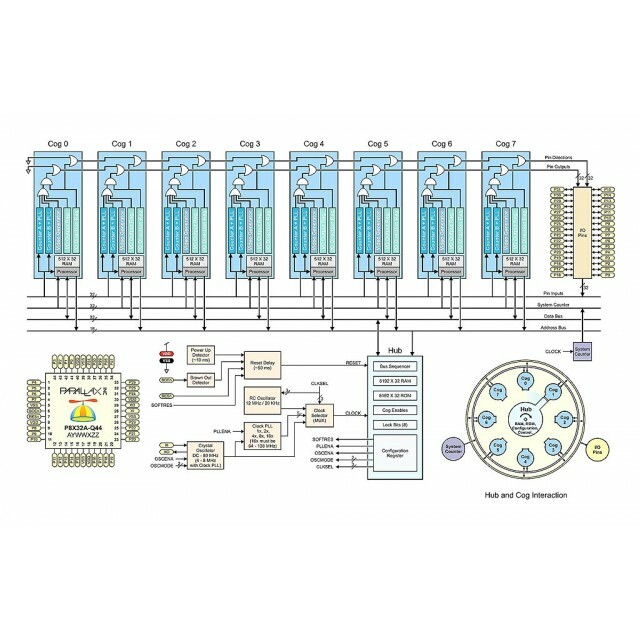 Sensor Basics for Multiprocessing - Andy Lindsay. 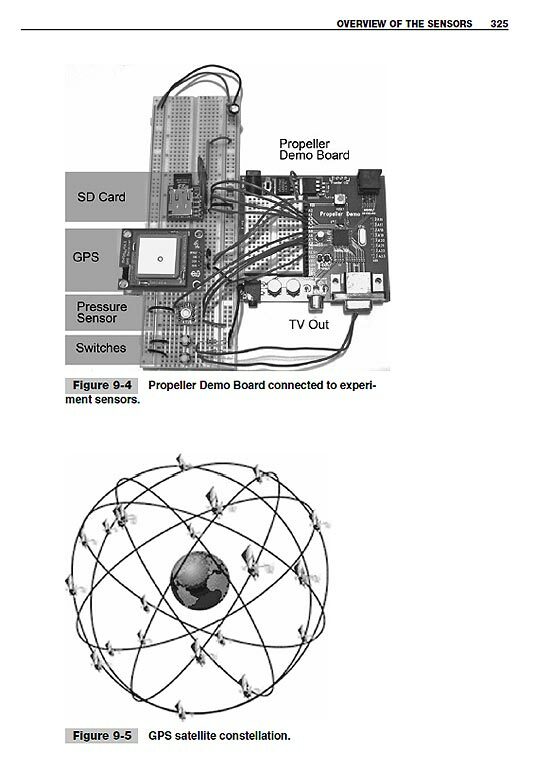 Wirelessly Networking Propeller Chips - Martin Hebel. DanceBot, a Balancing Robot - Hanno Sander. Controlling a Robot with Computer Vision - Hanno Sander. 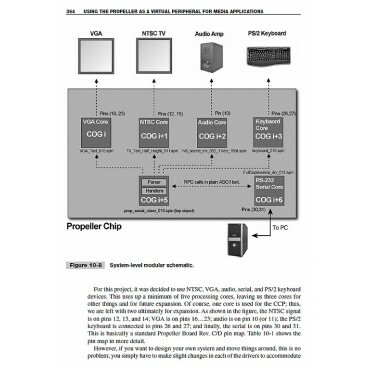 Using Multi-core for Networking Applications using an Off-the-shelf Ethernet Chip - Shane Avery. Portable Multivariable GPS Tracking and Data Logger - Joshua Hintze. 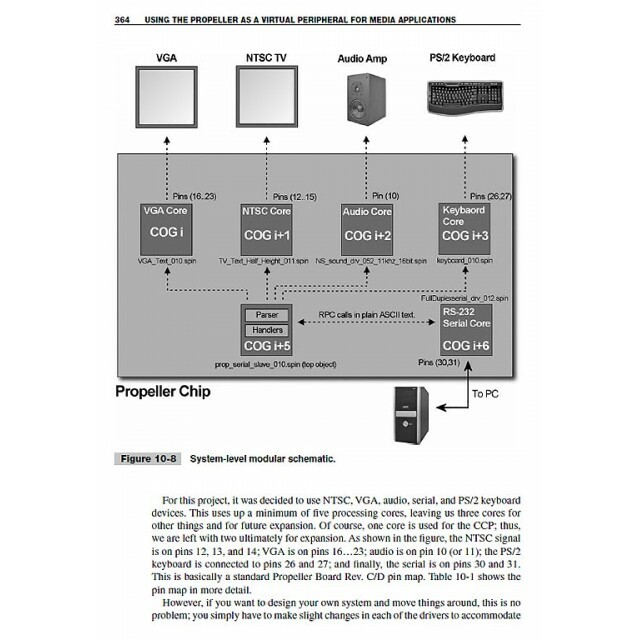 Using the Propeller as a Remote Virtual Peripheral for Media Applications - Andre’ LaMothe. The HVAC Green House Model - Vern Graner. 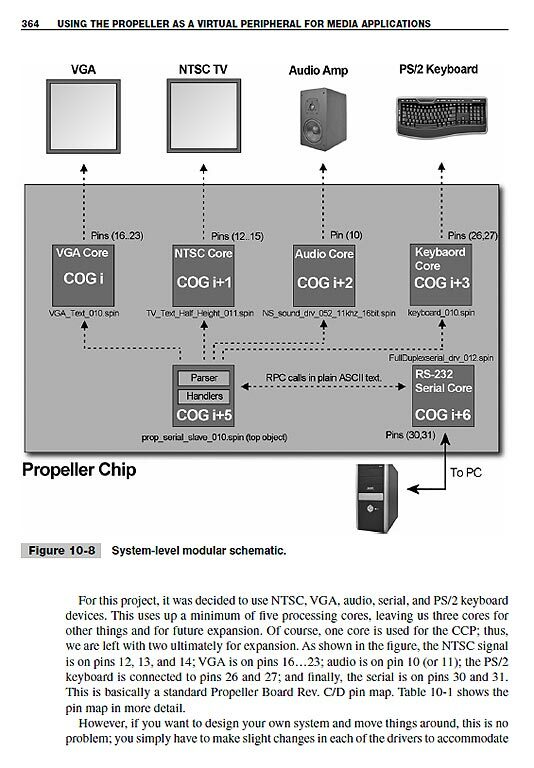 Synthesizing Speech with the Propeller - Chip Gracey. Dimensions: approx 7.25 x 9 x 1.2 in (18.4 x 22.7 x 3 cm). Paperback/Black & White printing/approx 500 pages.